The course is 5000m (5K) long. The course is at Winan’s Meadow, West Baltimore. The course is run on a mixture of paved paths and trail paths. Some sections of the course may accumulate mud, leaves and puddles after rain. Dependent on availability, marshals will be at key sections of the course, or signs will be in place. We hope these tips help to ensure that Leakin Park parkrun is fun and safe for everyone. This is a double out and back course. The course is all on paved road or path. The start is on the concrete bridge to left of parking lot near the pavilion. Runners keep left and follow path, with river on left, to end over a long wooden bridge. Turn left up the road until you hit the turnaround after approx 425m to the top of the ridge. Turn around at the marshal point. Follow the course back over the wooden bridge keeping the river on your right. Follow the path to return to the starting area for a loop around the start cones and return out on the 2nd lap. At the end of the second lap continue to the bridge by the pavilion into the finish funnel. Toilets near the start/finish area. The event starts on the concrete bridge to left of parking lot near the pavilion. Bus Route 015 (to Overlea via B Mason) runs via Windsor Mill Road and Forest Park Avenue. From Windsor Mill Road / Crimea Road stop, walk down Eagle Drive and cut through the park on trails. From Forest Park Avenue / Pleasant Street stop, walk down North Forest park Avenue onto North Franklintown Road and continue East along the marked “GF” trail for 1.5 miles to Winan’s Meadow. Winan’s Meadow is approximately halfway along North Franklintown Road between Hilton Parkway and North Forest Park Avenue. It can also be reached on foot from the east or west via the marked Gwynn’s Falls “GF” Trail route from the Inner Harbour or the I-70 Park & Ride. From I-695 take I-70 East toward Park & Ride. Drive around the Park & Ride lot and proceed west on I-70 to Exit 94, Cooks Ln South. Merge onto Security Blvd for 0.5 miles. Turn left on Briarclift Road at the light. 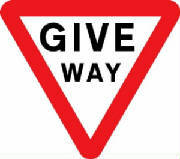 Briarclift Road becomes Winans Way with a slight left at a “Y” junction after 0.4 miles. At the bottom of the hill, turn right onto Franklintown Road. The park will be 0.25 miles on the left. Parking at Winan’s Meadow for approx. 40 cars.